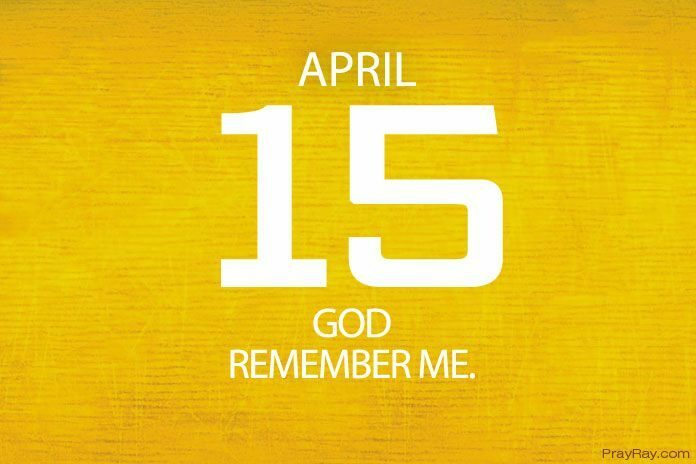 God will never leave or forsake us – God remember me prayer for April 15. God will never forget his people. He is a faithful God and whatever he says concerning us will come to pass. Let’s tell God to remember us and fulfill all he has promised us, that God will never leave or forsake us. God was saying in that verse of the scripture that it is not possible for a nursing mother to forget her baby. Now even if she forgets her baby, He [God] will never forget us. It is not the nature of God to forget his people. God will never leave or forsake us. There is vast number of times it was written in the Bible that “And God remembered.” When Sarah was given the news that she would conceive, she laughed because she thought God has forgotten her. God also remembered Hannah and gave her a child. When God remembered the Israelites in Egypt, he saved them from the hands of Pharaoh. When God remembers you, good thing will surely follow. God always visit with a good news and then a good gift. Don’t think God has forgotten you because of the situation you are in right now. This situation may be the stepping stone to a higher level that will amaze everyone around. If you are praying for promotion and it’s not coming through, don’t worry because when the promotion comes, it will be bigger than you expected. Lord, I thank you because you can never forget me. You are always with me and you remember me and protecting me from all dangers. When I call you, you always answer me. When I pray, you answer too. I will never forget your love in any situation I find myself today. Keep me from being distracted by you today by my thoughts and let me focus on you alone. If there is any time that I have given up on you thinking you have forgotten me, please have mercy and help me to build my trust in you. God remember me in the name of Jesus. Amen.